Thanks to everyone who came out to support the Lions at Horsham Day! Click HERE to see who got DUNKED and who DUNKED them! 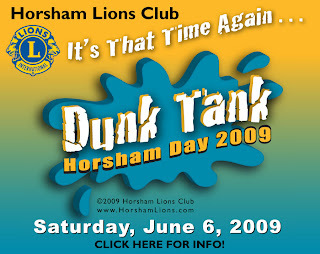 and sign up to sit in our dunk booth!